The way that young children learn, observe, and then explain what they see is always interesting and reading about the adventures of the third graders in room eight is no exception. Everything that comes out of the mouths of kids is straight forward, to the point and usually quite entertaining. However, in this story the subject is cockroaches and that subject alone provides endless opportunities for these third graders to express their young opinions on these creepy, crawly creatures. Of course each one of these children have their own ideas about these insects but they never imagine how much they will learn about these relatively unknown species. It was a normal school day for the third grade class in room eight as they all prepared to start a lesson in Ms. Matson’s classroom. However, the day drastically changed as a swarm of cockroaches suddenly came scurrying out of the sink drain! The room erupted into shrieks, screams, and crunching as the boys (primarily) decided they needed to take a stand against the army of roaches invading their classroom. Desperately trying to control the mayhem, Ms. Matson tells the students to find as many containers as they can and trap the cockroaches inside. After most of the pesky insects were trapped in jars the janitor was called in to take care of the mess in classroom eight. As the mess was cleaned, everyone’s interest was quickly overcome with everything that was unknown about cockroaches. 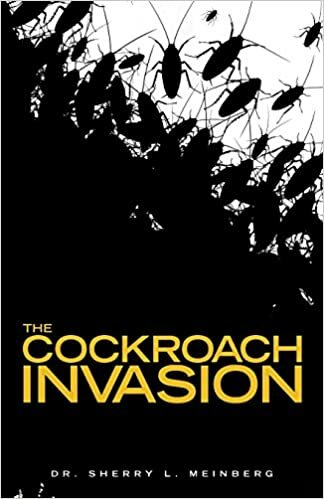 Using this new interest, Ms. Matson decides that as a class they will all do their own projects explaining all sorts of facts about cockroaches. At first the students know very little about cockroaches, but they are eager to learn and answer the many questions as they embark on an information finding quest. What they discover is more interesting than any of them could have predicted. The lesson even brings the quiet students out of their shells. Working with children is always unique as there is never really a way to predict what will happen or what they will say. It was obvious that the author of this book, Dr. Sherry L. Meinberg, has quite a way with young children as she brought to life a book that not only entertains but teaches - which is exactly what great educators do. Including sketches made by kids was also an amazing touch as I can see how that would be incredibly appealing in the eyes of a child. The writing also flowed easily and quickly, allowing this book to be enjoyed by any age. I even found myself laughing out loud at some of the comments of these third graders. The humor and fun made for a great and enjoyable read! Quill says: This is a fun read that can be enjoyed by a reader of any age.